The American Heart Association and the American College of Cardiology recently issued new guidelines for reading blood pressure. This is a much-needed move to increase awareness of heart disease, which causes 1 in 7 deaths in the U.S., or one every 90 seconds. It will identify more people at risk thus providing more education at the earliest stages of risk and making a more significant impact on reducing the number of people who go on to develop heart, stroke, or other cardiovascular diseases. 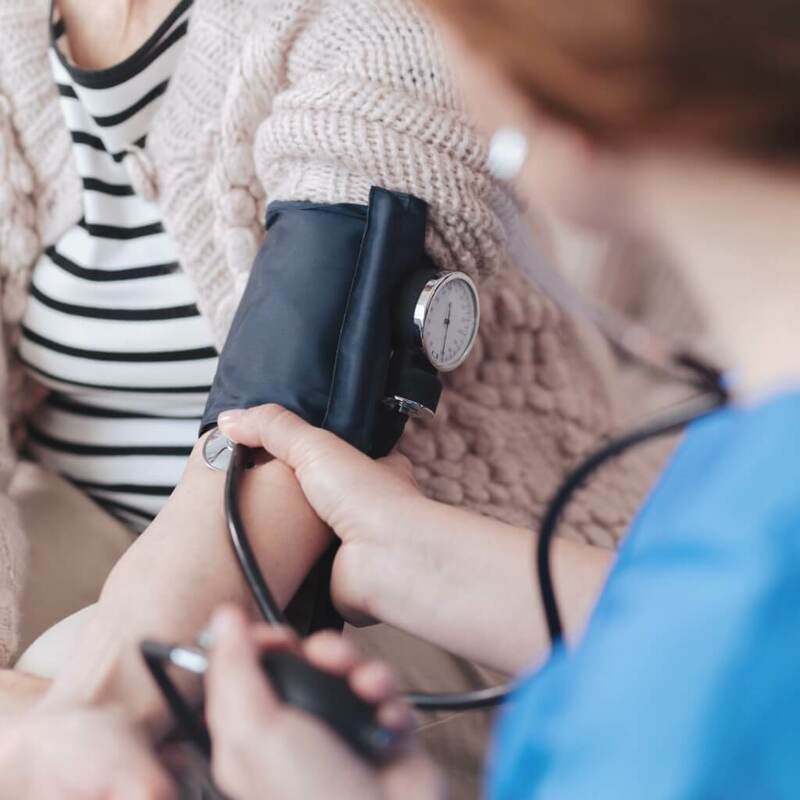 Be aware that many things can make your blood pressure elevated such as getting your blood pressure checked in a clinical setting (being nervous – “white coat syndrome”), medications you may be taking, stress, alcohol, coffee, or lack of sleep. We recommend the Omron 10 series BP 7869. It’s easy to use and will let you know if you are in a risk category, instead of having to memorize the reference ranges, and it will also detect an irregular heartbeat. * Use the bathroom first. A full bladder can raise your systolic reading by as much as 15 mmHg. Sit in a chair, have both feet flat on the floor, and elevate the arm you are using. We recommend a chair with armrests. Rest calmly in the chair for about 10 minutes prior to measurement. Place the properly fitted cuff around your bare upper arm, one inch above the bend of your elbow. There should be an arrow on the cuff indicating that it needs to be placed on your artery. 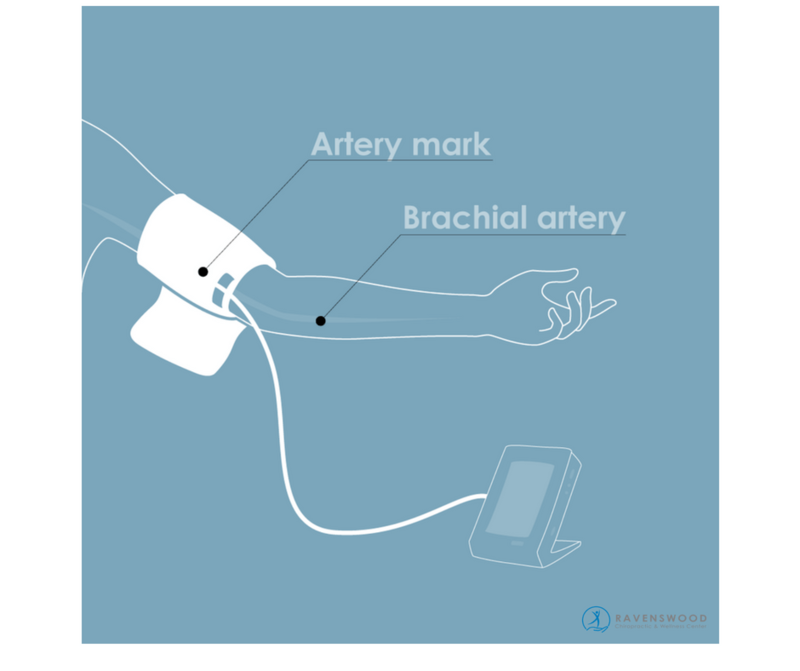 Placing the cuff over clothing can increase systolic by as much as 50 mmHg. Relax and don’t talk. Talking can raise your systolic pressure by 15 mmHg. Review any medications you are taking to see if one of the side effects is high blood pressure and if it is – continue taking your medication and make an appointment with the prescribing doctor to discuss. Review your lifestyle risk factors such as smoking or fitness level and see if there are any you can improve. Lifestyle changes are the first line therapy. Review our Healthy Steps To a Healthy Heart guide for more information. Learn how incorporating acupuncture, chiropractic, or massage into your lifestyle can help improve your blood pressure. If lifestyle improvements aren’t bringing your blood pressure down, then it’s time to find a specialist in functional medicine or a family doctor. Let your doctor know during appointments what your blood pressure numbers are and what you have done to improve them. Get Tested – Ravenswood Chiropractic & Wellness Center provides a number of important heart health indicator tests. Learn about what tests we might recommend for you. Knowing where you are at can help you determine if a plan of action is required and what might need to be included in it. If you are concerned about your heart health or haven’t had your annual check-up, don’t delay! Schedule an appointment with a Functional Medicine expert or your family doctor to get yourself tested! Detecting small problems before they become a major crisis is one of the best and easiest ways to manage and improve your health on a daily basis.